Lost ginger cat: have you see Lola in Crosspool? On Thursday 22 March a two-year-old ginger cat called Lola went missing from her home on Stephen Hill Road. Have you seen her? She is quite timid and usually only ventures around a couple of local gardens. She can be a bit nosey though so could be in a shed or garage. The owners are asking whether local residents could check garages, basements, greenhouses and sheds in case Lola is trapped inside. If you think you might have seen Lola, please ring the owner on 07812 650396. 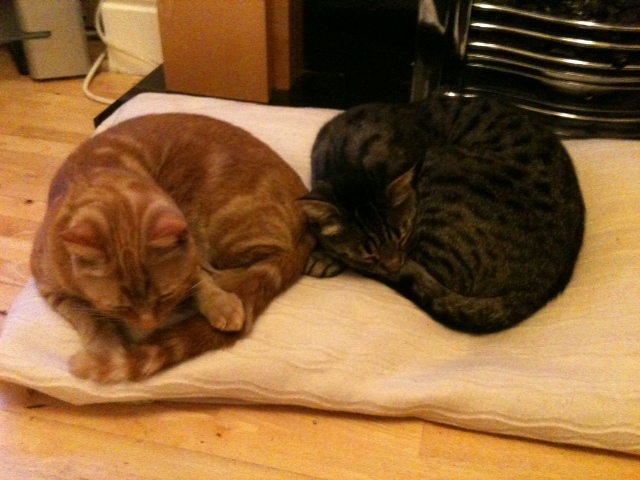 Have you seen ginger cat Lola (left)? This entry was posted in crosspool, lost and found, sheffield and tagged crosspool, ginger cat, lola, pets, stephen hill drive. Bookmark the permalink.